The John W. Campbell Memorial Award shortlist has been announced. The award is given for the best science fiction novel of the previous year. The winner will be named during the Campbell Conference Award Banquet on Friday, June 16, as part of the annual Campbell Conference. 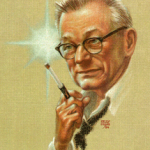 The Campbell Memorial Award was created to honor the late editor of Analog (previously Astounding Science Fiction). 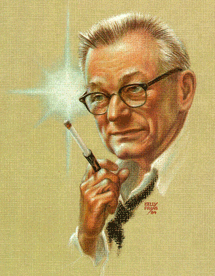 Campbell, who edited the magazine from 1937 until his death in 1971, is considered by many the father of modern SF. Harry Harrison and Brian Aldiss established the award in 1972. Jurors this year included Gregory Benford, Sheila Finch, James Gunn, Elizabeth Anne Hull, Paul Kincaid, Christopher McKitterick, Pamela Sargent, and Lisa Yaszek. The Campbell Conference has been held each year since 1978, usually in Lawrence, Kansas. It includes a Friday-evening banquet where the annual Theodore Sturgeon and John W. Campbell Memorial Award are presented; a round-table discussion with scholars, scientists, and writers of science fiction; and other events. This year’s Campbell Conference celebrates James Gunn and the mission of the Gunn Center – “Saving the world through science fiction.” The Conference takes place June 16-18. This entry was posted in Awards and tagged John W. Campbell Memorial Award by Mike Glyer. Bookmark the permalink. Is there a specific reason why “Central Station” is not underlined? Or is that just a mistake? For a moment I had an impulse to remove all the underlines. I didn’t realize I had actually started to do it. Is this list longer than usual? James Davis Nicoll: There doesn’t seem to be a fixed number of Campbell Award finalists. This list is a little longer than typical, but not by much. That’s a good list. If looong. @lurkertype: Yeah, I’ve read 7 out of the 13, and would be happy to see any of those 7 win. I had thought that the Campbell judges interpreted the term ‘Science Fiction’ relatively strictly (at least, not so loosely that anything speculative counts), so I’m surprised by the inclusion of Vellitt Boe. Both a railroad and an airline underground?